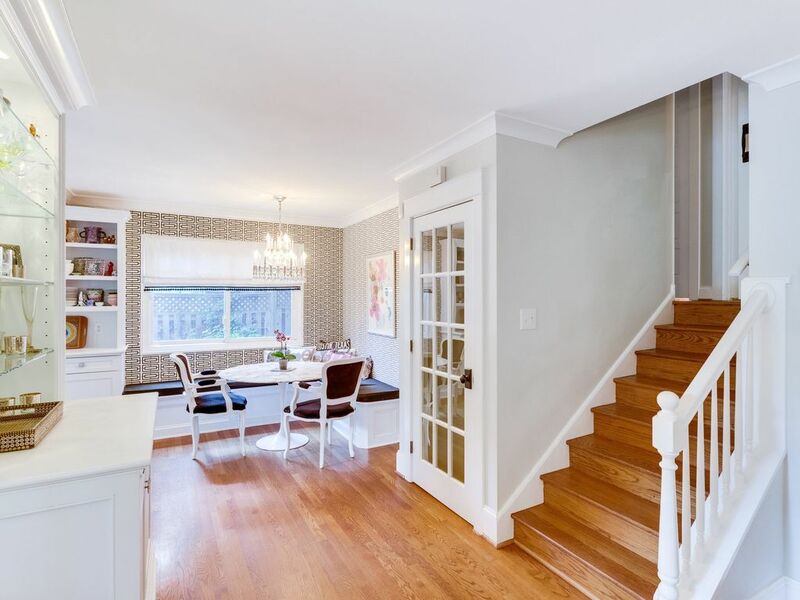 We expect to find smaller homes in the Washington DC suburbs, where houses are – shall we say – a tad pricey. 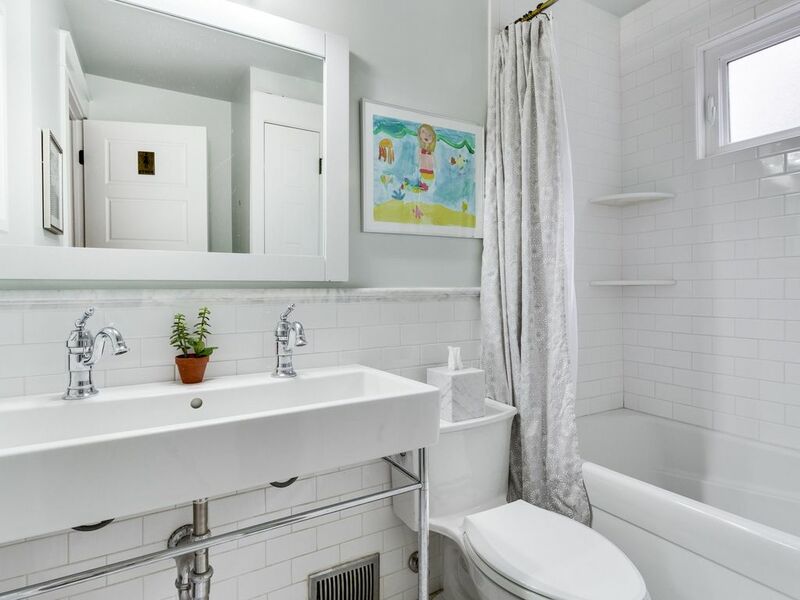 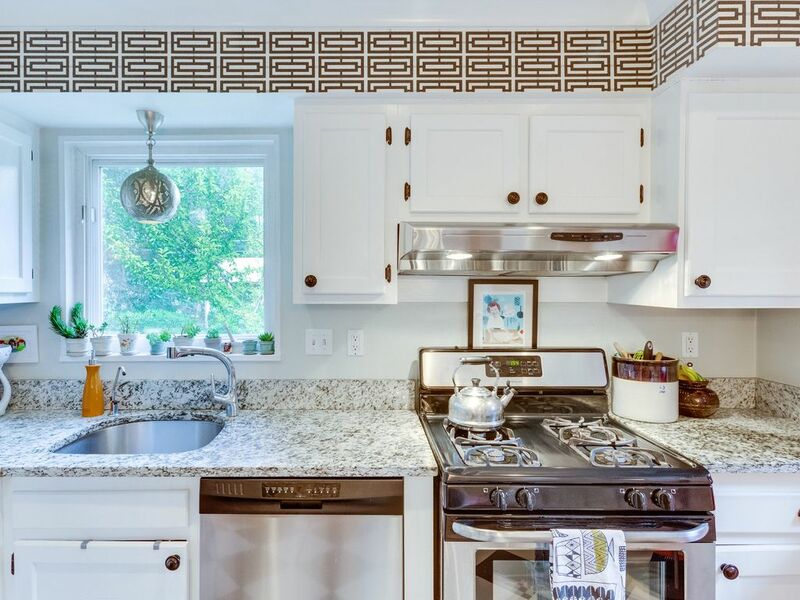 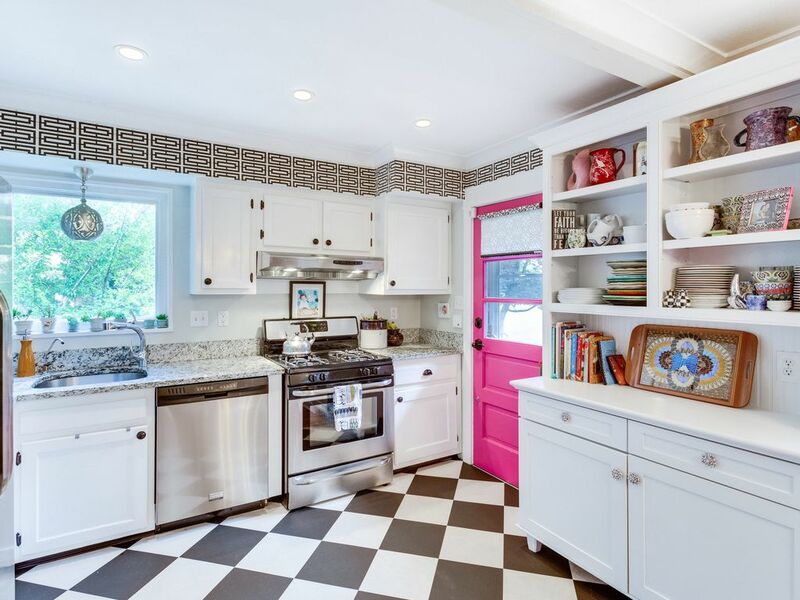 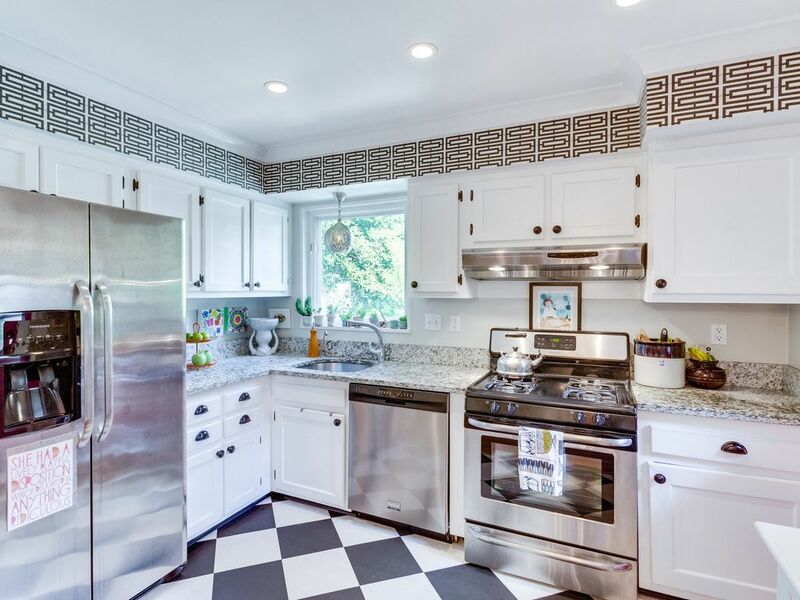 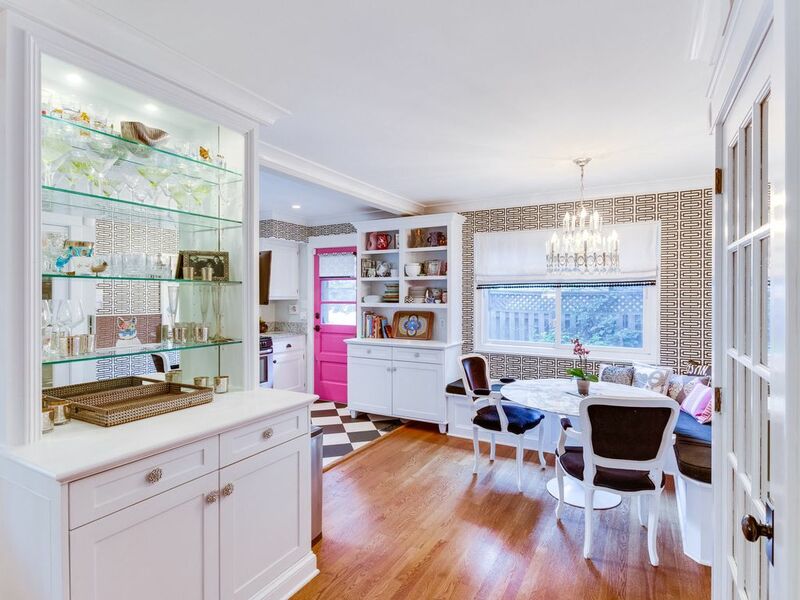 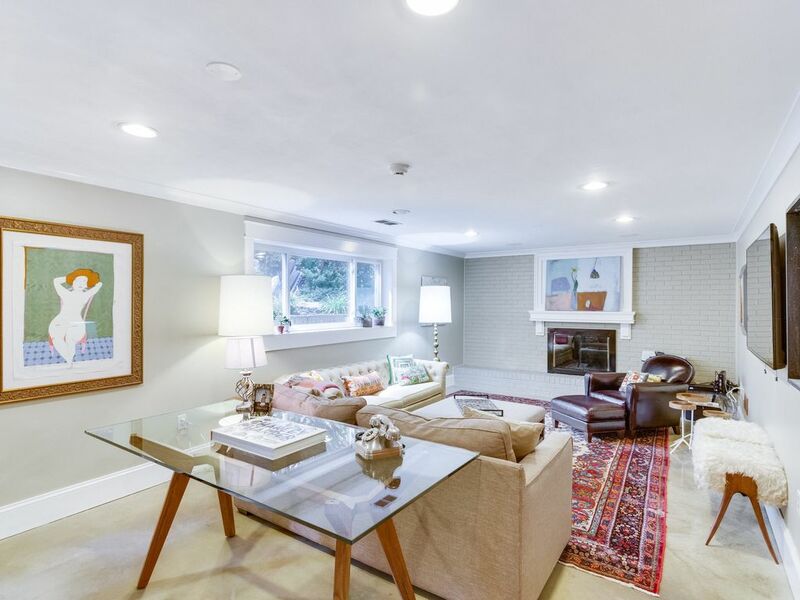 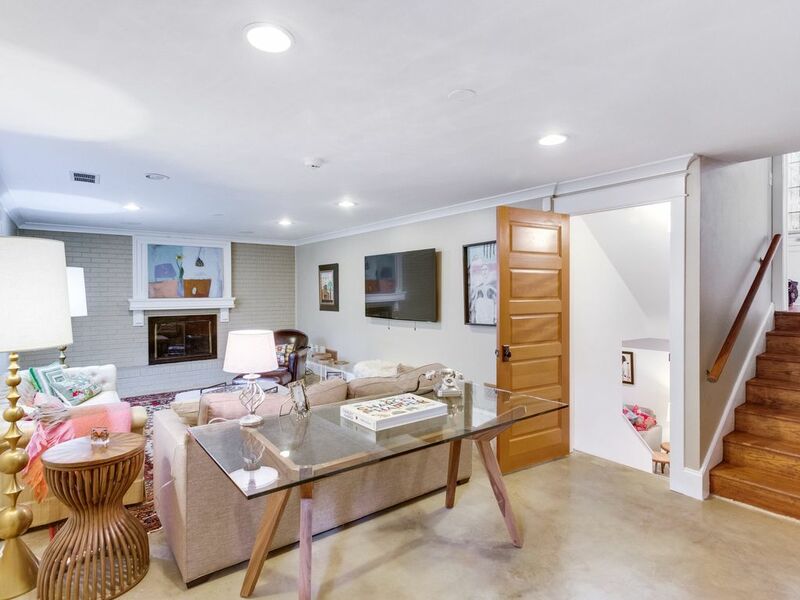 This tiny remodeled cottage home has only 1,699 square feet of space including the finished lower level and sold for over $480 per square foot, but we sure like how nicely it’s been remodeled. 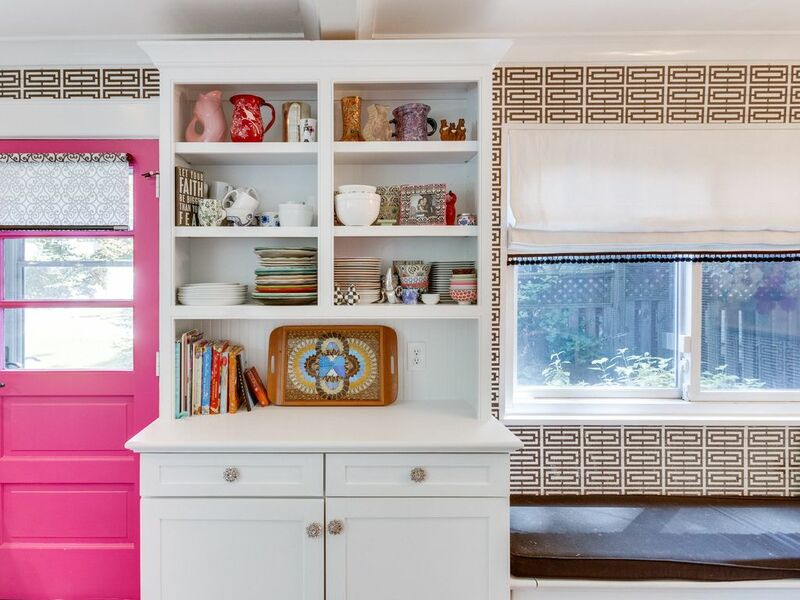 With just a little bit of space to work with, you have to combine spaces to get the most use from them. 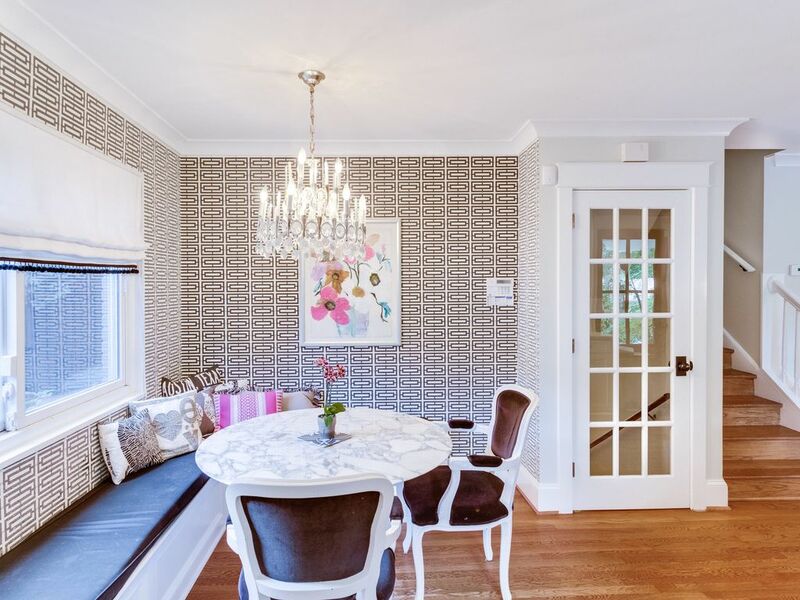 All of the main floor living areas in this home flow into each other, so it’s important to tie them together with a theme of some sort – in this case it’s the wallpaper in the dining area that becomes a wall border in the kitchen. 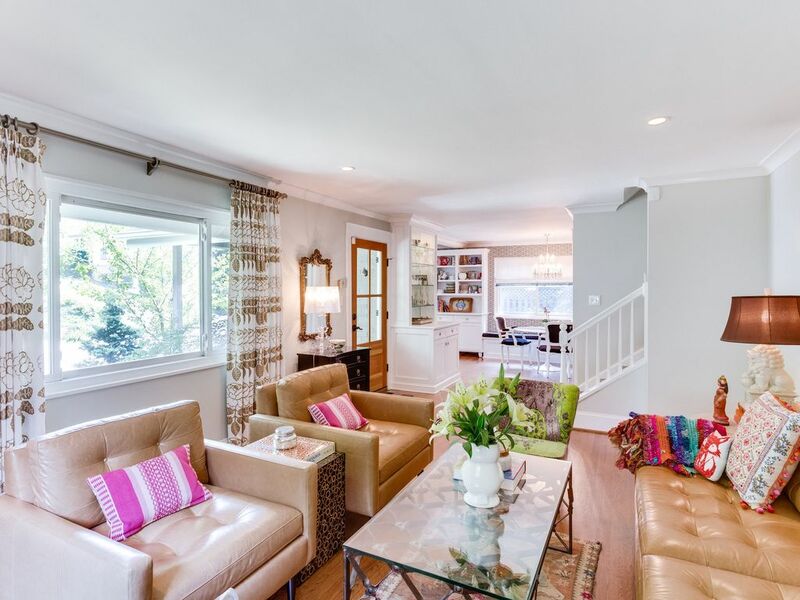 The lower level is almost half of the square footage of the house, with a couple of nice family areas. 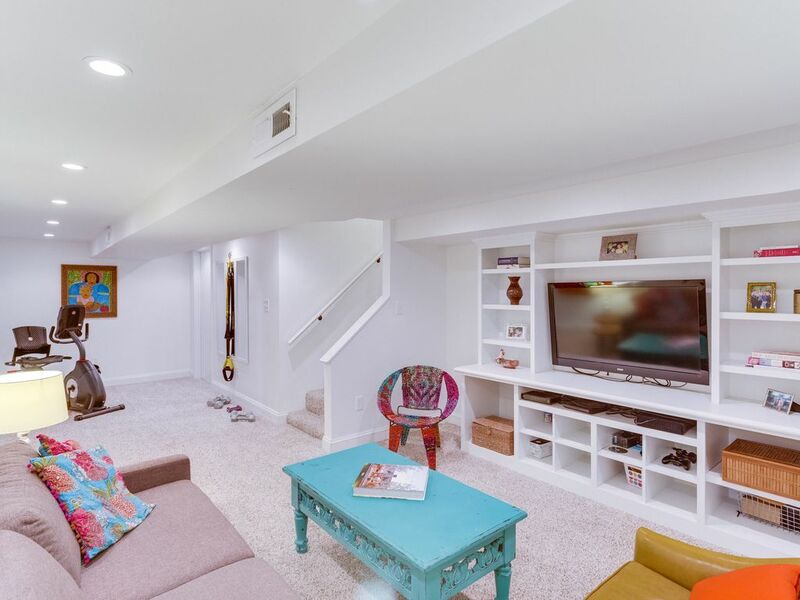 We really like the built in bookcases with a place for the flat screen tv. 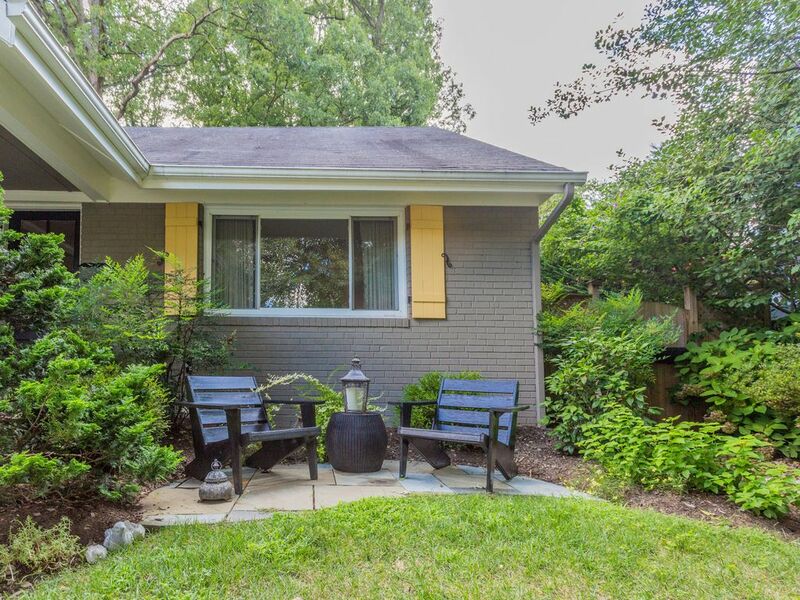 Finally, there’s outdoor living space in the back and the front of this tiny remodeled cottage home. 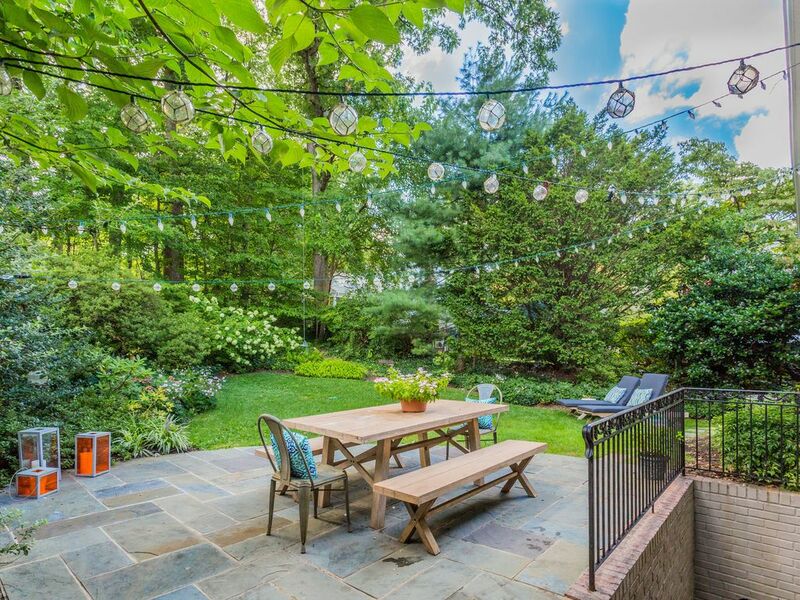 We like that backyard patio, with the lighting strung across it!